Wakeboard Binding Closures: What’s the Best Option for You? What’s the most important part of your wakeboard set up you ask? The bindings. Wakeboard bindings have come a long way since the inception of our sport. From sandal models to closed toe models and everything in between. Along the way we’ve seen all kinds of closure systems and we wanted to break down what is going to be available for the 2018 season and help you choose the best style of binding for your riding needs! This topic is highly subjective and based on personal preference, but keep an open mind to new things, as your next pair of bindings might be your favorite pair yet! 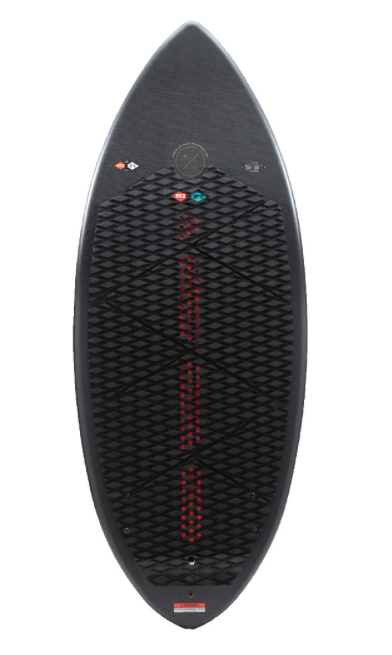 Noah’s personal wakesurf board from Hyperlite is a wakesurfer’s dream. Try it out yourself! Shop Hyperlite Hi-Fi. #shreducation17 Was a Huge Success! Ballast Bags – More Weight, Bigger Wakes! It’s officially spring (as of yesterday), so it’s time to get things in order for an epic 2017 season. Go grab your ball hitch, back the truck up, and get the boat headed to the lake! On your way down to the boat ramp, one thing to consider this year is how can you take your riding to the next level. How about ballast? We’re pretty sure that nine times out of ten, you automatically think about the gear you are riding – a new wakeboard, different bindings, a heavier wakeskate, a whole new surf shape, etc. But, what about that big beauty you just dropped into the lake; YOUR BOAT!? Makes sense right?! More weight = bigger wakes!